Blog A Vegas Triple Grand Opening Touchdown! A Vegas Triple Grand Opening Touchdown! Knuttle Art Gallery, Commissary Latin Kitchen, 103° Hot Pilates: Triple Touchdown for Vegas! 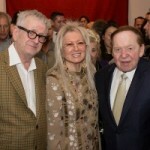 The Knuttel Gallery, the first high-end art gallery located at the Venetian-Palazzo Resort, held its Grand Opening celebration in Las Vegas this past Saturday. The event featured a ribbon cutting by Sheldon G. Adelson and an unveiling of Graham Knuttel’s latest masterpiece. Celebrity attendees included Chef Rick Moonen, Chef Alex Stratta, Miss Asian Las Vegas, Prince Lorenzo de Medici of TLC’s Secret Princes, Chloe and Murray Sawchuck, Jarrett and Raja, John Payne from Raiding the Rock Vault, and Paul Shortino of Quiet Riot. Knuttel’s work is instantly recognizable for its boldly colored canvases featuring characters with attitude and a playful dissonance. Many of Knuttel’s paintings and sculptures have come in themes with many depicting edgy chefs, nightlife settings, mobsters about to draw down on each other, anthropomorphic wildlife with flair, as well as a broad range of culinary subjects. Graham Knuttel’s paintings and sculptures have been acquired by an array of celebrities, including Frank Sinatra, Sylvester Stallone, Whoopi Goldberg, Colin Firth, Michael Stipe, and Viscount Linley, the nephew of Queen Elizabeth. Director John Herzfeld commissioned Knuttel to paint Robert De Niro. 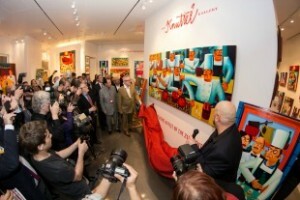 Several prestigious institutions such as Goldman Sachs and the William Morris Agency have also counted Knuttel canvases among their displayed art. 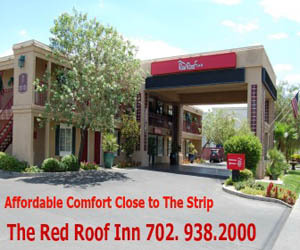 For more information about the Knuttel Gallery, call 702-228-8808 or visit www.knuttel.com. 3) Rotisserie featuring Chef Sandoval’s special spice rub chicken, 12 hour smoked brisket, tacos and burritos. In addition to these distinctive food flavor profiles, the dining area also boasts a Lavazza Coffee Café, serving world-class coffee drinks, made-to-order crepes, pastries, breakfast sandwiches, yogurt-granola parfaits and an amazing selection of artisan gelato flavors. The After Dark Center stage at The Commissary is a Tequila & Beer Bar, featuring a signature collection of tequilas, 40 taps of craft beer, and hand-muddled Latin cocktails. After 10pm the venue offers great music, tequila flights and hand-crafted cocktails and Pan-Latin inspired small plates menu. 103° Hot Pilates & Yoga classes are taught in clean odor free studio with state of the art heating and humidifying equipment that refreshes the air. Classes are individually choreographed with music that will complement each class. The classes listed below appeal to both the yogi who has been practicing for many years, athletes looking to add flexibility and detoxification to their workout, and to the person who has never practiced hot Pilates or yoga. 103° HPX HOT PILATES – 103° HPX 60 minute class promises to sculpt and tone your body, strengthen the core and improve your cardiovascular system. Hot Pilates will burn hundreds of calories by focusing on cardio circuit training and promote more lean sculpted muscles. This class is taught in 100 degrees with 40% humidity. 103° INTRO YOGA – Designed for anyone who is new to yoga, or interested in further instruction on postures and breath. This is a beginner level yoga class, lasting 60 minutes, that will help build strength and flexibility. 103° Intro Yoga is slightly heated, 90-95 degrees with minimal humidity. 103° Intro Yoga is a great way to introduce heat into your practice. 103° HOT POWER FLOW – Be ready to sweat and move!!! This rigorous heated power flow 60 minute yoga class, will challenge and energize your mind and body. 103° Hot Power Flow detoxifies, strengthens and burns calories, while working out to energizing music. Room temperature is 103° degrees with 40% humidity. 103° POWER YOGA SCULPT -103° Power Yoga Sculpt 60 minute class is a total body work out designed to tone and sculpt every major muscle group. Using provided dumb bells, you will move through sun salutations, squats, lunges, bicep and tricep curls and other yoga postures, enabling additional length and depth to each pose. This class firms glutes, tone arms, tightens and flattens abs. This unique combination of yoga and strength training promotes greater long term effects on your metabolism and weight loss through building lean muscle mass. 103° Power Yoga Sculpt is taught in 103° degree and 40% humidity. 103° BAREFOOT BOOT CAMP – This total body workout class is designed to burn fat and calories while developing strength and agility! This 60 minute class begins with a brief warm up then jumps right in to cardio blast, weights, abs, core, and endurance training before finishing with a cool down. 103° Barefoot Boot Camp is high energy, loud fun music and lots of fun. “The class doesn’t get easier, you’re getting stronger”. Room temperature will be 98 degrees with 30-40% humidity.